ANYONE walking down Gloucester Road in recent weeks would have noticed the appearance of Tiger Lily. Not the orange spotted flower, but a new ethical clothing store. Tiger Lily is the second of its kind, and opened on the evening of its sister shop's 10th birthday, which is based in Ludlow, Shropshire. 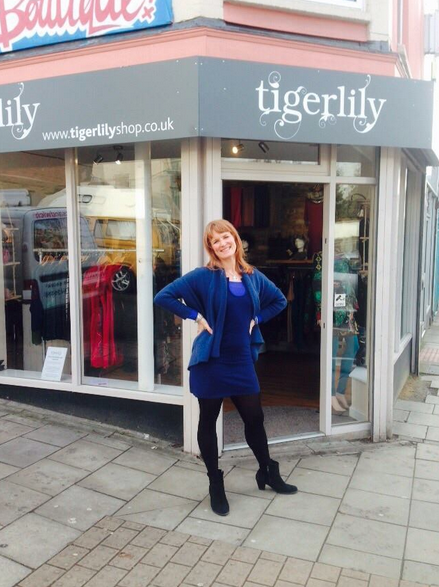 Marj Cook, owner of Tiger Lily, said: "Bristol was the obvious choice for a second Tiger Lily because of its diverse demographic and creative edge - I am super excited about the future here in Bristol." Available in store is a selection of clothing including the quirky and unique Desigual, and ethically-made Skunfunk and Komodo. Accessories include vegan bags from Matt & Nat, faux fur and leather bags from Urban Code, and unique one-off pieces of gemstone and silver jewellery. Products are carefully sourced from within the UK and abroad, with suppliers specially selected by Marj for their adherence to good working practises. The property, on the Overton Road junction in Gloucester Road, was previously home to Way boutique, which closed its doors at the end of last year. Owner of Way, Dagmara Zielinska, took on the shop after it went up in flames four years ago, when Creations Nail and Beauty Salon - who have since moved across the road - occupied the building.